After Canon EOS 6D Mark II is released, there will be no major DSLR cameras coming in 2017, all rumored upcoming DSLR cameras will be announced in 2018. So what new cameras will be announced in 2018 ? Below is a roadmap of new Canon gears that rumored to be announced in 2018. According to latest rumors on CR, the upcoming Canon full frame mirrorless high-end camera is rumored to be announced in Q4 of 2018. 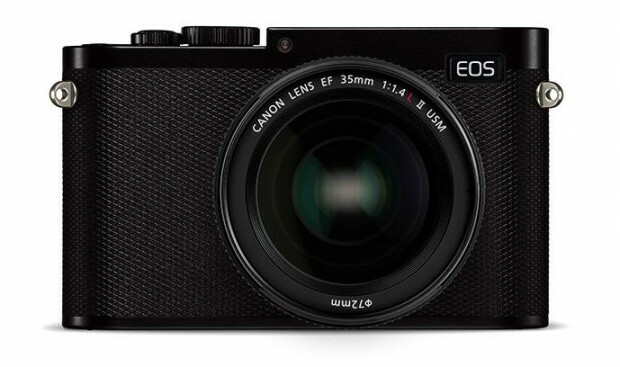 Recently sales from Canon shows that Canon has sold 70% more EOS M systems than last year. So it seems that Canon will also seriously join the Mirrorless war. Author CameraeggPosted on July 31, 2017 Categories Canon Full Frame MirrorlessTags Canon Rumors2 Comments on Canon Full Frame Mirrorless Camera Coming in Late 2018 ? Canon Full Frame Mirrorless Rumors, Coming at Photokina 2018 ? After Sony announced high-end Alpha a9 full frame mirrorless camera, there are more and more talk on Canon’s full frame mirrorless camera. According to latest rumors on CR, the first Canon full frame mirrorless camera is scheduled to be announced around Photokina 2018 in September. And after that, there will be more Canon FF mirrorless cameras to come. According to CR, Canon full frame mirrorless will use EF mount lenses as their native lenses. Author CameraeggPosted on May 16, 2017 May 16, 2017 Categories Canon Full Frame MirrorlessTags Canon Rumors, Photokina 2018, SpecsLeave a comment on Canon Full Frame Mirrorless Rumors, Coming at Photokina 2018 ? Canon Full Frame Mirrorless Coming End of 2017 ? According to Canon Rumors, the long rumored Canon full frame mirrorless camera is in the works at Canon, and the Canon full frame mirrorless camera will not use a new mount, instead it will make good use of EF mount lenses. Author CameraeggPosted on October 24, 2016 Categories Canon Full Frame MirrorlessTags Canon RumorsLeave a comment on Canon Full Frame Mirrorless Coming End of 2017 ? Canon has just filed another new full frame mirrorless lens patent in Japan. This new lens patent is Canon 30mm f/2.8 DO lens. In the past, Canon all filed another full frame mirroless lens patent: Canon 50mm f/3.5 Macro IS Full Frame Mirrorless Lens. According to rumors, Canon full frame mirrorless cameras will be announced around Photokina 2016 in September. According to CanonRumors, in next several months, we will see two new Canon mirrorless cameras announced for Photokina 2016 in September. Three Canon Mirrorless Cameras will Coming in 2016, One will have 4K ! According to CanonRumors, there will be at least three new Canon mirrorless cameras coming in 2016, mostly around Photokina 2016 in September. Author CameraeggPosted on March 12, 2016 Categories Canon EOS M, Canon Full Frame MirrorlessTags 4K Camera, Canon RumorsLeave a comment on Three Canon Mirrorless Cameras will Coming in 2016, One will have 4K ! Author CameraeggPosted on February 3, 2016 Categories Canon EOS M, Canon Full Frame MirrorlessTags Canon Rumors, Photokina 2016Leave a comment on Canon to Announce new Mirrorless Camera at Photokina 2016 ? According to CanonRumors, Canon is going to suprise a lot of people with releasing a new mirrorless camera. Though we can’t confirm yet whether this new mirroless will be full frame sensor or APS-C, we don’t think would surprise people if it was a crop camera. Canon Japan recently has filed a new lens patent for upcoming Canon full frame mirrorless cameras. This is new lens patent is Canon 50mm f/3.5 IS Macro lens. First full frame mirrorless lens patent we saw. Previous rumors said that Canon will finally release their full frame mirrorless cameras in 2016.